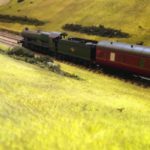 Why a picture of Dettol on a model railway blog? 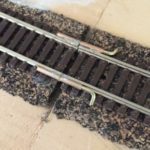 Read more to find out how a household disinfectant can help your railway modeling. 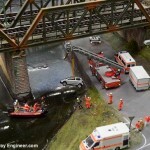 This is great model making tip I’ve read about a lot in the military diorama and wargaming blogs but not seen raised in the railway modeling community. 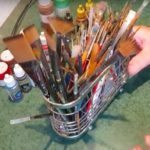 Essentially, it’s how to remove acrylic and enamel paints from plastic models but as it’s both cheaper and more effective than standard branded products in the model market I’m sharing it here. 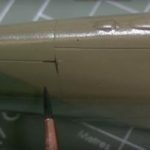 Paint stripping plastic is something all modelers will be faced with at some point. Whether it’s correcting an earlier accident/mistake or refreshing the paint on an old model the old paint needs removing before applying new coats. (Not doing so leads to loss of detail and a poor seal). 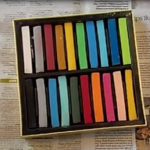 You could just buy the standard off-the-shelf paint removers sold by model shops. They’re good but typically expensive. But as I’m out to show you, there’s a much cheaper alternative. And that alternative is non-other that school children’s loathed disinfectant Dettol. As said I don’t take credit for the idea. 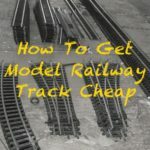 I read about some time ago on other model making blogs but it doesn’t seem to have had much attention in the railway space. A step by step guide is described over on Realm Of Chaos. Here’s part of old Ratio signal box I soaked to remove the paint. After a few hours and a scrub the pain came off, ready for re-painting. Dunk the model in undiluted Dettol for approx 4 hours. Remove the model from the Dettol and scrub it with a toothbrush and one if the thick washing liquids. Rinse clean in cold water. That’s it. Simple. Effective. Cheap. With fresh Dettol and reasonable soaking time, old paint comes off easily and cleanly. One word of warning, however, as I learned with a Ratio signal box I wanted to repaint (see right), soaking in Dettol will also break down glue. For me, this wasn’t actually bad as it means the model can also be glued again so correcting a couple of gluing errors but it’s something to be wary of. Read the full guide on the link above but let me know how you get on and if it works for you. 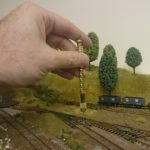 I have seen this idea in the last few days on the site of a keen modeller and converter I came across. I have a few items that need stripping so I will certainly give it a try. I hope they don’t smell too strongly afterwards! Clive, as hinted at it’s an old technique and has been around for a while in modelling circles. Let me know how it goes.